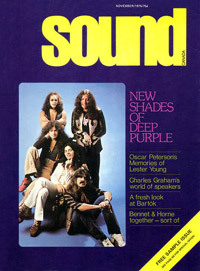 Record collecting magazine. 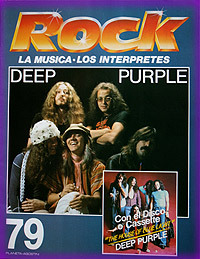 Deep Purple feature. 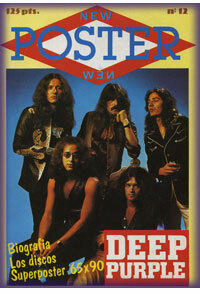 Special fold out poster magazine with discography, biography, etc. 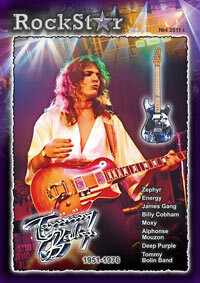 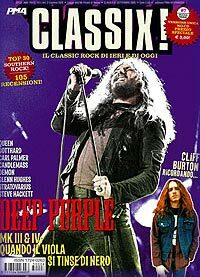 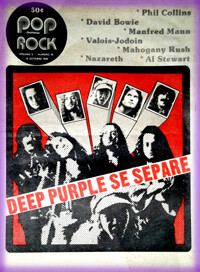 Free sample edition of new Canadian rock magazine, with Mk4 feature..
Poster magazine with Deep Purple history. 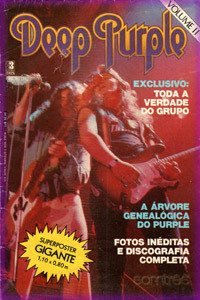 Editora Somtrês. 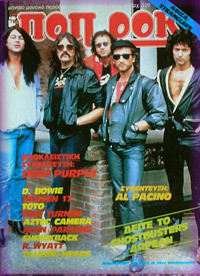 Poster magazine with Deep Purple history. 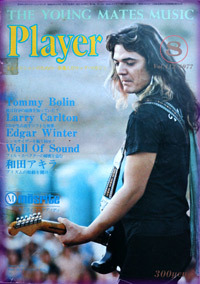 Bolin interview (most probably syndicated from European or US magazine). 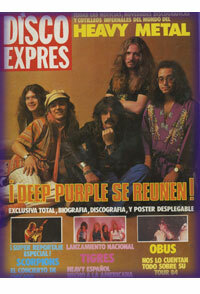 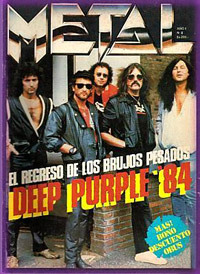 1975 Hard rock magazine with story on Deep Purple reunion announcement in 1984. 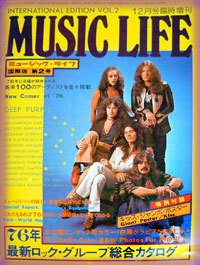 Cover : Deep Purple Mk4, 1975. 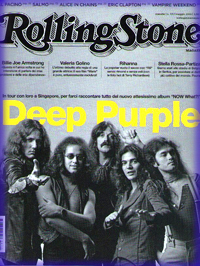 Article on the breakup of Deep Purple Mk4. 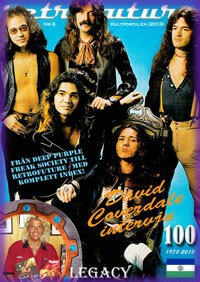 David Coverdale and Johnnie Bolin intervies. 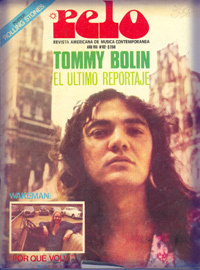 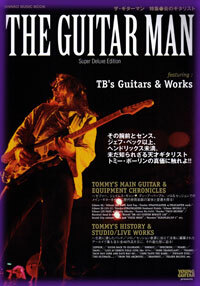 Cover : Tommy Boli, Japan 1975. 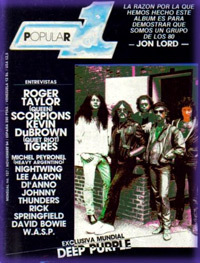 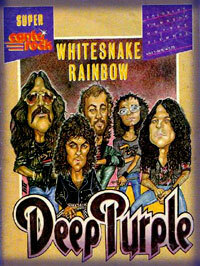 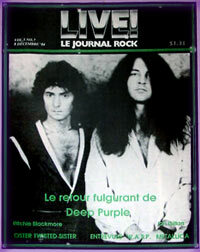 Cover : Coverdale, Liverpool 1976 Feature on Deep Purple Mk 3 and 4. 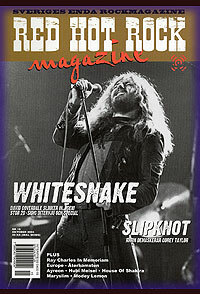 Big feature on Whitesnake's history, lots of pictures, interview. 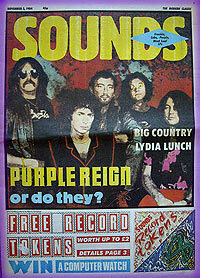 UK weekly music paper. 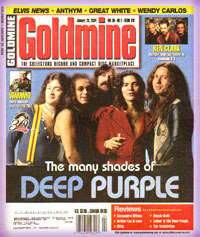 Deep Purple won 'best new band' in the yearly poll.